Lately I’ve been thinking a great deal about self-expression because if it veers off from the norm, then children are punished for it and adults are harshly judged. I love my tattoos and my rainbow hair. Children also have their own ways of expressing themselves. Of course, if it is harmful to anyone, then appropriate alternatives should be given to the children. We have to teach them right from wrong. But when a child has a different way of expressing him/herself, it should be encouraged. Instead of punishing reactive children, validate them and give them appropriate outlets for self-expression. If you have a clown at home, encourage ways of being a clown. Expect the child to do stuff at school that may not always be at the appropriate time because children just don’t always have the ability to control their impulses. Good teachers will gently but firmly steer the child in the right direction without having to punish. If you have a shy child, encourage the little attempts of putting him/herself out there. My friend’s almost 9-year-old daughter recently wanted rainbow hair. At first she wanted it all over, but my friend had to bleach her brown hair and she said she’d do the bottom layer to show the child how it would affect her hair. Once her daughter understood that it will take 3 years for her hair to grow out as brown again, she agreed to just color the bottom layer. My friend helped her daughter see the consequences of permanently changing her body instead of just saying, “No, you can’t have your whole head colored.” The meme below shows how her daughter’s hair turned out. Beautiful! It just feels like the world is so controlling, harsh, and judgmental. We punish children for the silliest things. We punish them for being children and acting their age. I’m not saying that we should let children do whatever they want. But we should give them plenty of room to be who they are instead of punishing them for not being who we want them to be. I don’t know if it’s just me but I have never felt the need to put down somebody’s style just because it’s not what I would do. When I started getting tattoos, I was suprised at how a few people had to tell me that they were not into them. Ok, but I am. It is a very personal style. We shouldn’t judge each other over style. My rainbow hair and most recent tattoos. Finally, if your boy likes dolls, encourage that in him. God may be preparing him to be a teacher or a pediatrician. If your girl enjoys playing with trucks and dinosaurs, encourage her. God may be preparing her to be an archeologist or a missionary that drives trucks full of supplies for poor and needy people. Let’s respect individuality and personal style as long as it’s not hurting anyone else and respect our children for the people that they are! On January 27th I got my third tattoo which is of my beloved first kitty, Sara. It was the ten year anniversary of her going Home. I got Sara when I was about nine years old and lost her when I was 25 years old. This was the original tattoo that I had been wanting since soon after she went Home. I made it through the tattoo with flying colors and took the same medications as I did with my last two tattoos in order to slow down my muscle spasms. See here and here about my first tattoo experiences. Again, my mom was so excited and proud of me. It’s funny how even though I am 35 years old, I still need my mom’s approval and acceptance! It truly means a lot to me! I have been thinking a great deal about love and acceptance with everything going on in both my world and the world in general. My husband and I no longer attend church because we’ve never found one that the people totally accepted us. Some people have and we are still friends with them, but many people assume that I am mentally disabled and talk to me like I am a child, well actually, worse. They are often patronizing to me. It drives me crazy! Of course, as I said, there are some who can see past my disability, but many can’t even after telling them that I have a Master’s Degree. So when my friend, Jackie Heim, posted the following on her Facebook page, I felt sad but could really relate. The very people, the Church, who are supposed to love and accept you for who you are, don’t! They want children to be these perfectly obedient robots and if they’re not then you need to spank/hit them. They never stop to think that the children may have special needs or they never try to understand about child development. 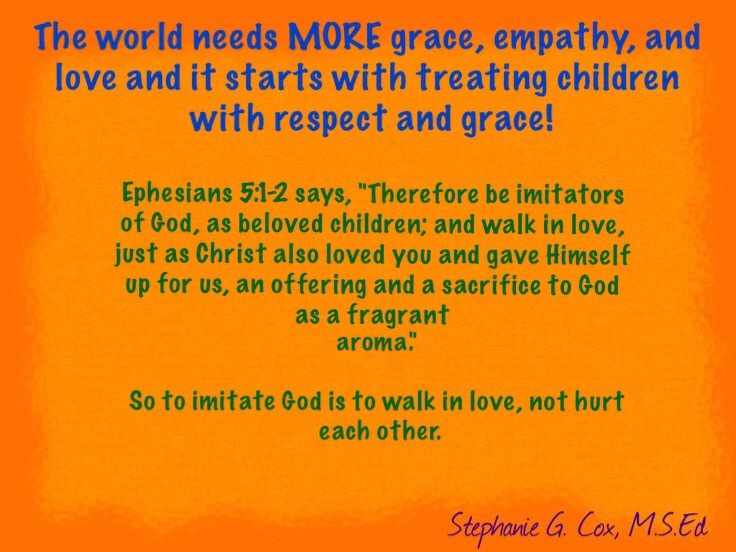 To be so judgmental to parents and children is so wrong and un-Christlike. I see the world becoming worse and worse which the Bible tells us to expect. But what I have been struggling with for years is that I didn’t realize that it would be the Christians that are often leading the way to destruction. We’re supposed to be leading people to the Light. I just don’t see that happening. I believe that this is due to church doctrine. Church doctrine often appears to be aligned with the Bible, but when you look deeper, you see how much it strays from the Bible. Jesus was constantly with sinners and making them feel loved and welcome. In fact, people would run to Jesus when He was in their town! “When they had crossed over they came to land at Gennesaret, and moored to the shore. When they got out of the boat, immediately the people recognized Him, and ran about that whole country and began to carry here and there on their pallets those who were sick, to the place they heard He was. Wherever He entered villages, or cities, or countryside, they were laying the sick in the market places, and imploring Him that they might just touch the fringe of His cloak; and as many as touched it were being cured” (Mark 6:53-56, NASB). It was always the self-righteous Pharisees and the teachers of the Law that scoffed, badgered, and ultimately crucified Jesus. Regular people just wanted to know more about Him and to understand Him. 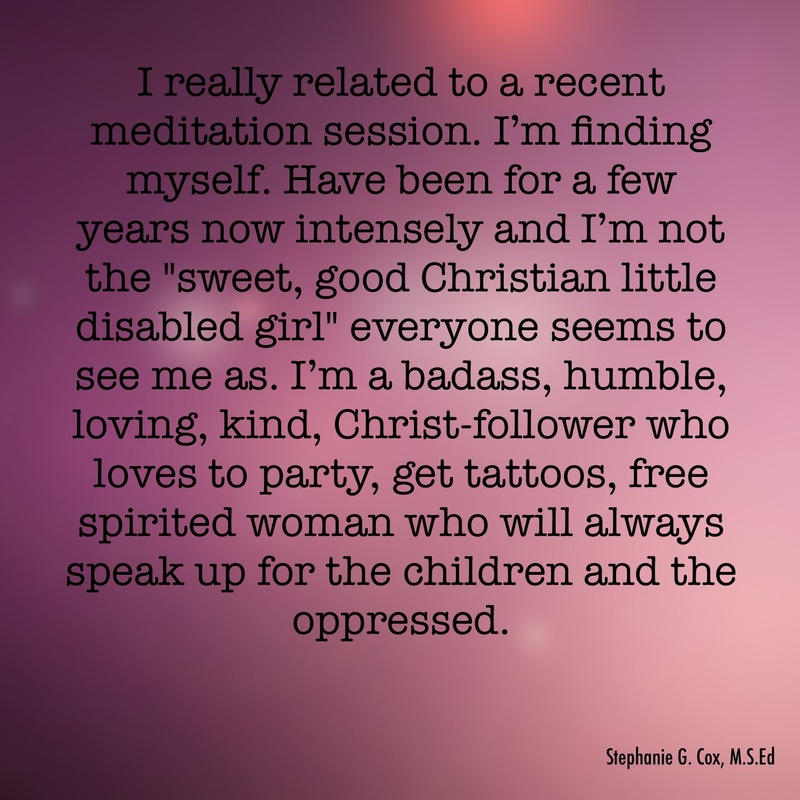 Not long ago I posted on my Facebook personal page that I have recently found myself relating more to the tattoo culture than to the Christian culture. As strange as that may sound, it’s because the tattoo culture is so real, loving, and accepting! They are so Christlike and they don’t even know it. That is so scary and sad that a tattoo shop does what the Church ought to be doing. We are born with a deep need for love and acceptance. Children absolutely crave it from their parents and never outgrow it. Jesus put us here to love and accept people in order to lead them to Him. There are a lot of people out there right now, young and old, of different races and ethnicities, and of different religions, and of all sexual orientations that are craving for love and acceptance! May we do our best to stop judging and begin loving and accepting the way Jesus does!